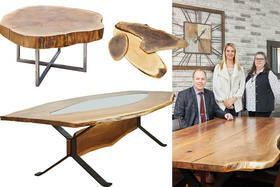 Mindful practicality and a hip brand of design come together near the water in Barrie's Tollendale neighbourhood. 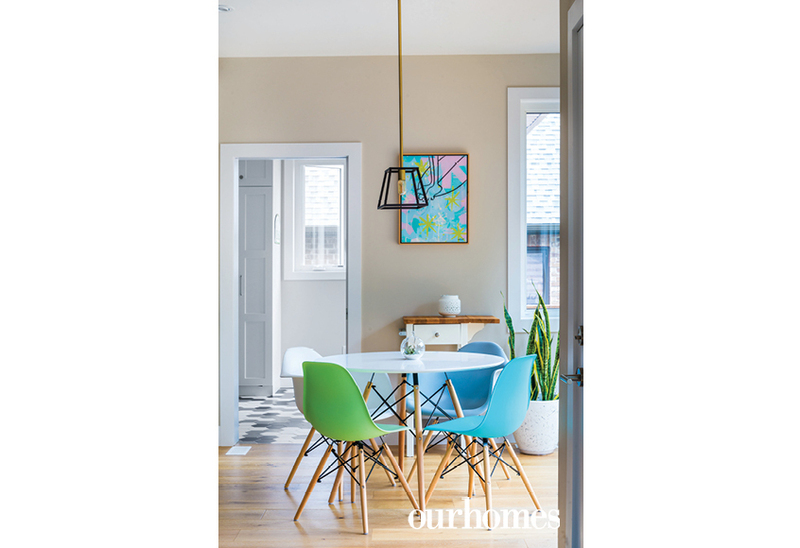 A version of this article originally appeared in the Summer 2018 issue of OUR HOMES Barrie Orillia Midland Innisfil, p.28. Find local businesses in our Barrie directory. 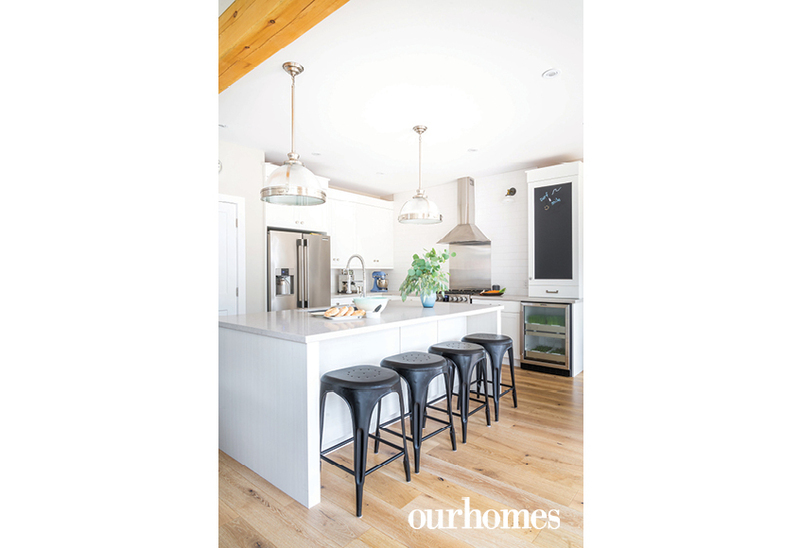 This two-storey lodge embraces its Cape Cod styling and offers the proximity to nature considered essential by outdoorsy homeowners Michelle and Alejandro Dada. The addition of Craftsman details to the blue exterior hint at the couple’s appreciation for creative efficiency and mindful practicality. Not surprising perhaps, given that Michelle is an entrepreneurial civil/environmental engineer and owner of MNT Consulting Group Inc., which focuses on environmental building practices. Alejandro is also an entrepreneur in environmental investing and the real estate market. He also teaches eco tourism at Georgian College. 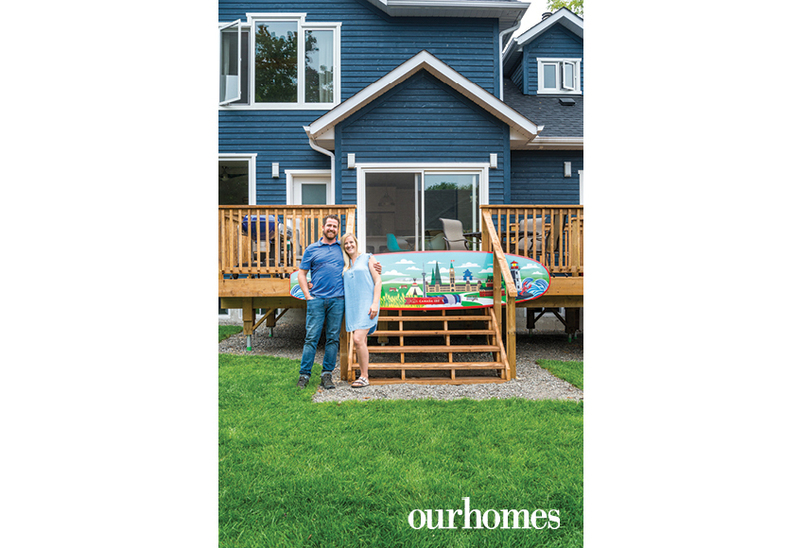 The active duo decided to put down roots in Barrie’s Tollendale neighbourhood where a short walk has them at the water's edge. “That’s important to us – to be able to get to nature very quickly,” they explain. They met several years ago when Alejandro came from Costa Rica to do a masters in Environmental Studies at York U as an international grad student. 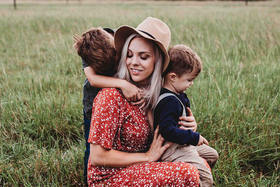 Married last year, they recently welcomed newborn son Rafael. Michelle's firm MNT Consulting Group Inc. is a multidisciplinary engineering company working with land development clients across central Ontario to create practical and sustainable solutions to environmental, design and planning issues. 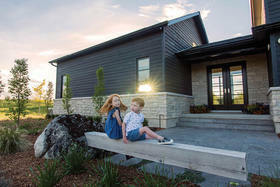 Although their new home offered a smaller canvas than the subdivisions she works on, they were determined to incorporate low-impact building practices in line with their nature-loving values. Across the threshold, modern practicality meets rustic beauty as hexagon tiles transition to wide panel white oak installed by Precision Edge Contracting, which also installed the exterior Maibec siding. 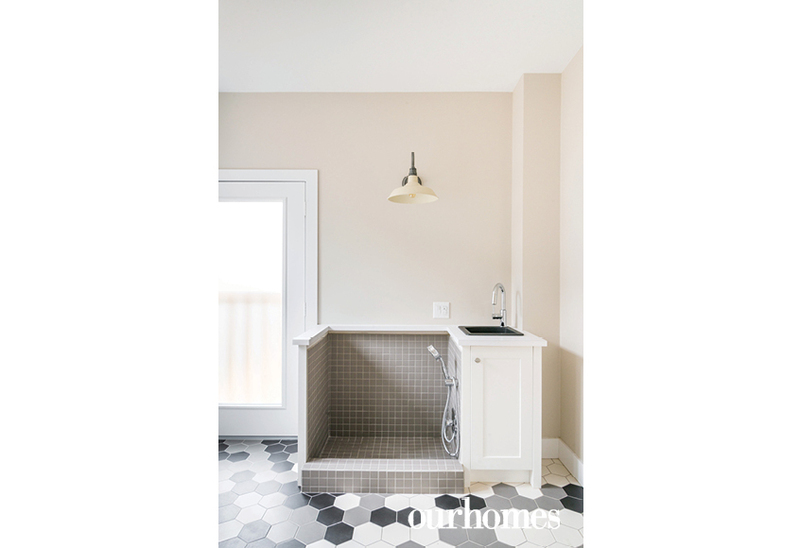 The hexagon tiling repeats in the second-floor laundry and rear entrance mudroom, where they included a dog wash station. Oversize windows framed by Barrie Trim & Mouldings Inc. flood the great room with natural light, minimizing the barrier between inside and out. 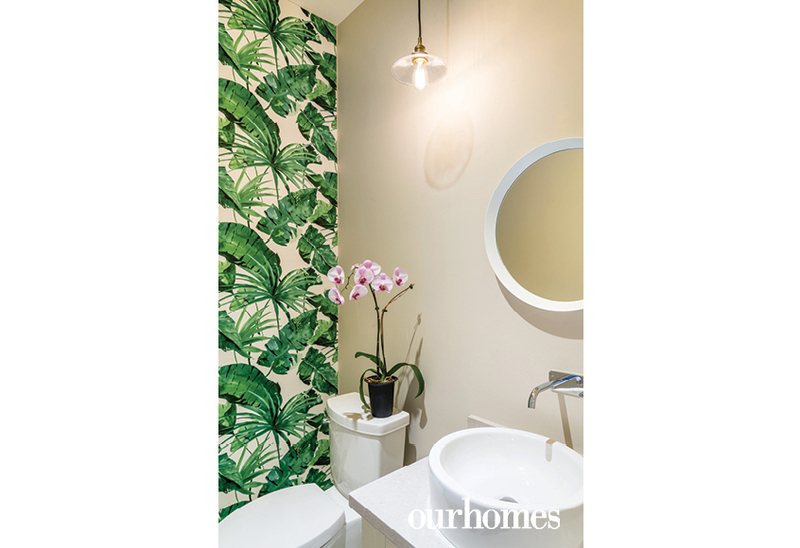 Benjamin Moore Edgecomb Gray and Sherwin Williams Sea Salt provide neutral walls, while palm frond wallpaper from Walls Republic lend a taste of the tropics to the nearby powder room, featuring fixtures from Bathworks. 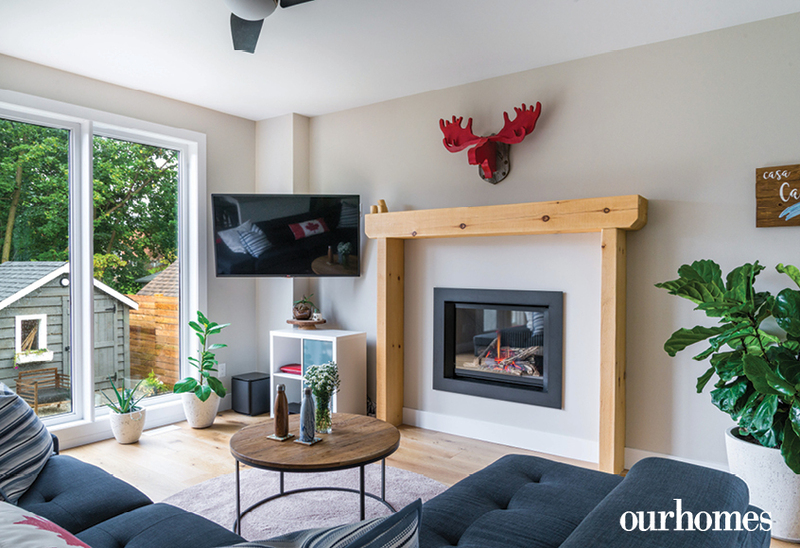 Reinforcing the natural, knotty pine beams surround the gas fireplace in the living area, and echo in the exposed rafters above. Not so rustic is the high tech Nest thermostat that conveniently regulates the Palm Air Heating & Air Conditioning Inc. system via their smart phones. Thoughtful choices were made in the kitchen as well. While wine fridges have become a standard fixture in many new homes today, the clean-living Dadas included an urban cultivator within their package instead. Built into their kitchen, beautifully designed and installed by Lindsay Schultz Kitchens & Cabinetry, the indoor garden provides an ever-ready source of herbs and microgreens to complement the bounty expected from their newly planted summer plot and fruit trees. To complete the exterior, they enlisted Bradford Greenhouses for foliage – with a shout out from Michelle for Alejandro’s green thumb. 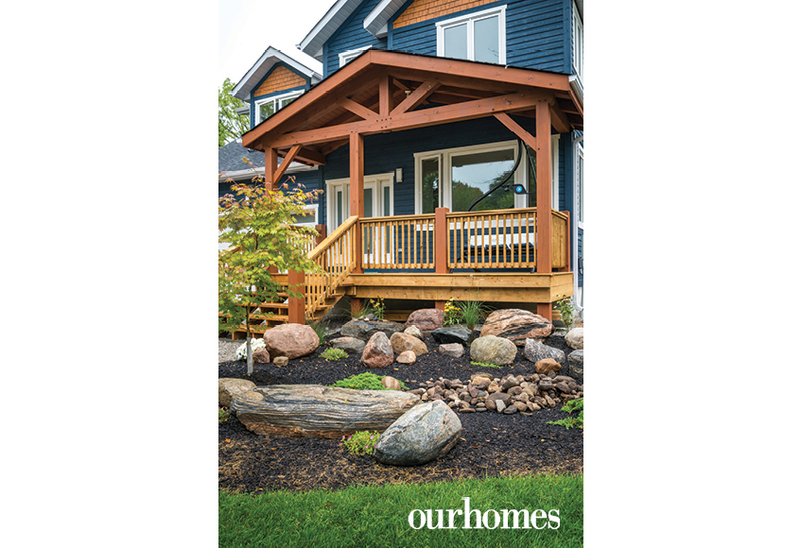 Hearty blue Maibec siding clads the front of the Cape Cod-style home designed with Craftsmen accents near Lake Simcoe. Outdoor enthusiasts Alejandro and Michelle Dada of MNT Consulting Group Inc. spend as much time as possible on the water. Their paddleboard celebrates Canada’s 150th anniversary of Confederation. 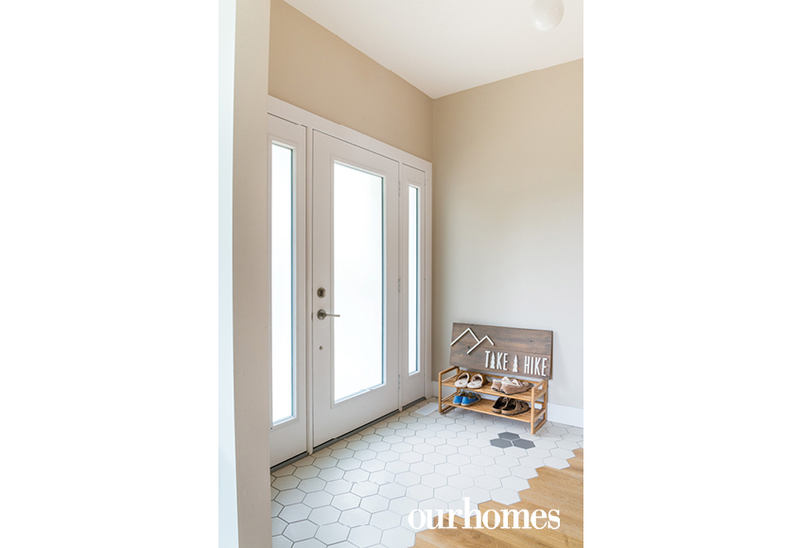 Large hexagon tiles transition in a casual way to hardwood in the front foyer. 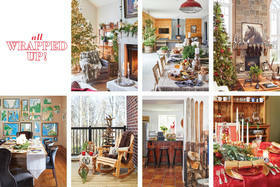 With a walkout to the backyard, and steps from the kitchen, the living room is the place to relax in all seasons. 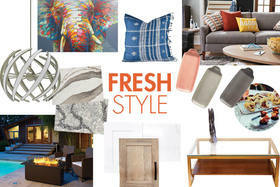 The home is filled with colourful touches. The vibrant chairs around the breakfast table match the art on the wall. 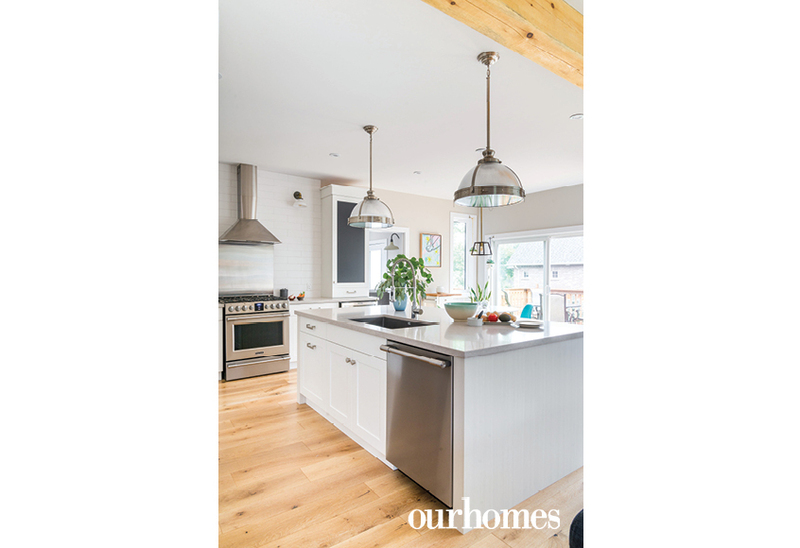 Thoughtful choices in the all-white kitchen stand out, including the large quartz-topped island, stainless steel appliances and the stainless backsplash and range hood behind the gas stove. The chalkboard-fronted cabinet is a fun touch. 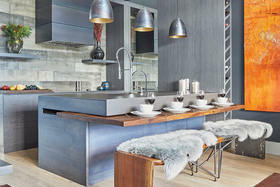 The dishwasher is built into the ample island with marine pendants overhead. 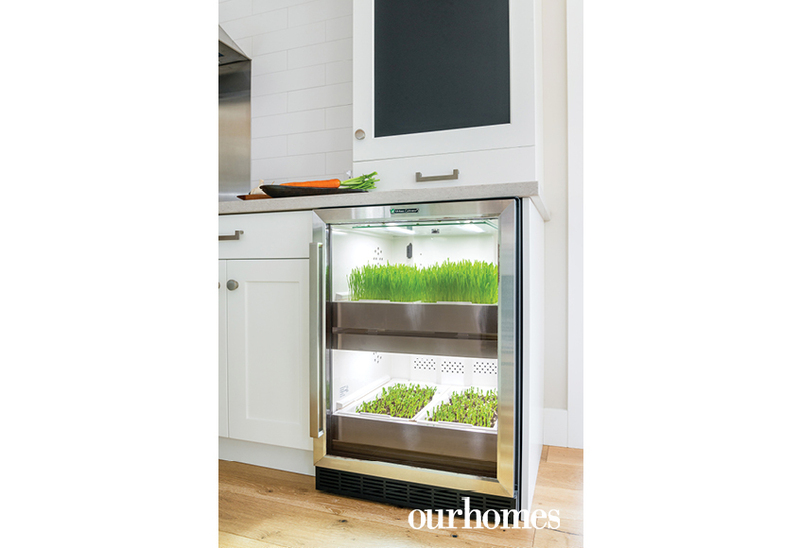 An urban cultivator grows herbs and micro-greens all year long. Tropical wallpaper lines a wall in the downstairs powder room. Fixtures are from Bathworks. 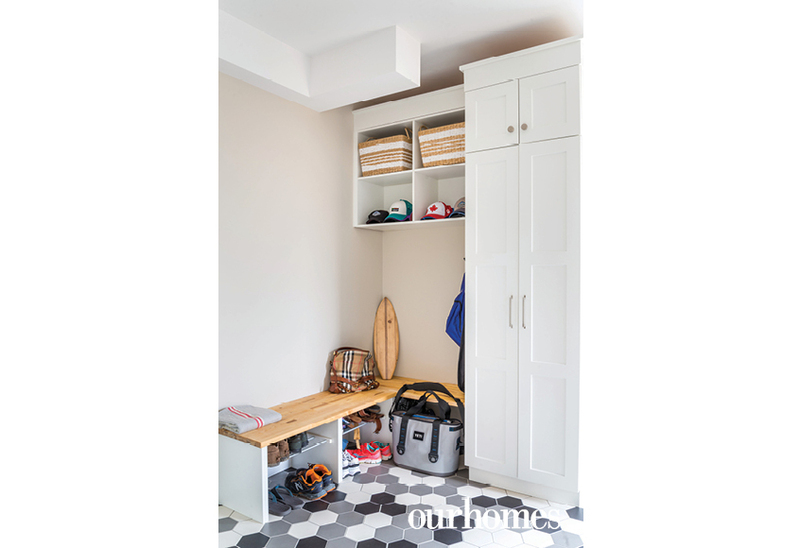 Hexagon tiles in the mudroom behind the kitchen add a lively yet durable touch to the room that holds all the gear. A handy dog shower in the mudroom can also be used for a myriad of muddy chores. With the right blend of cultures, activities and amenities, the Dadas have custom built the perfect home to fit their balanced lifestyle. 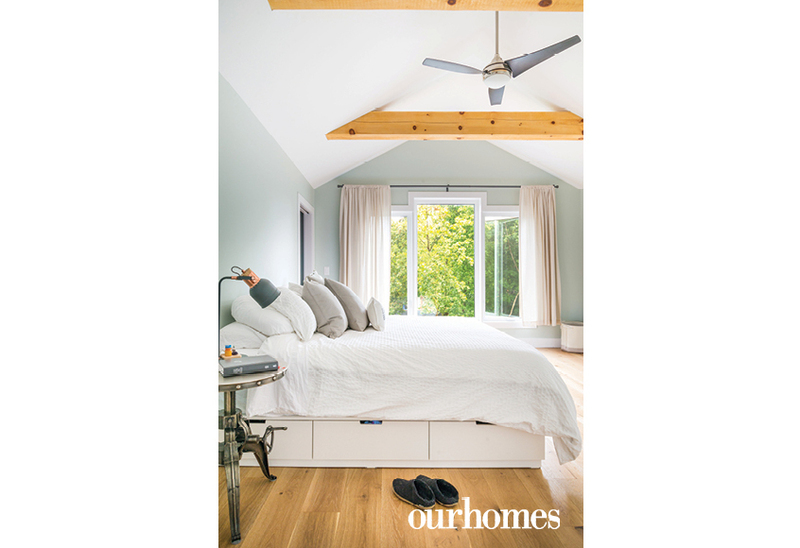 Large windows in the master bedroom fill the room with morning light. 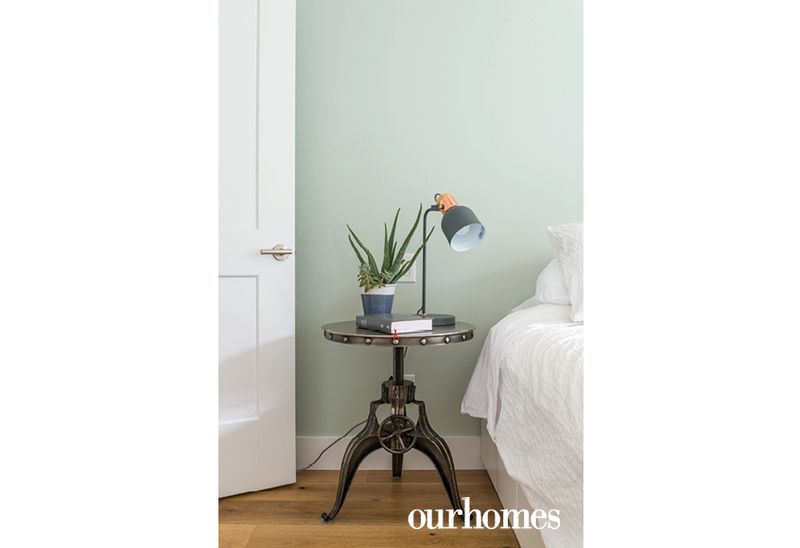 A metal bedside table holds an aloe plant and a modern lamp for reading. 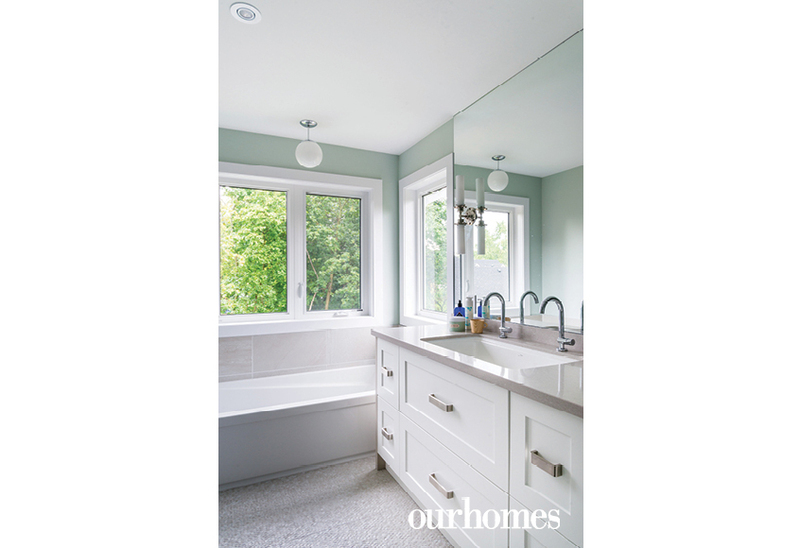 The master en suite is light and bright with quartz-topped custom cabinets and substantial polished nickel hardware. 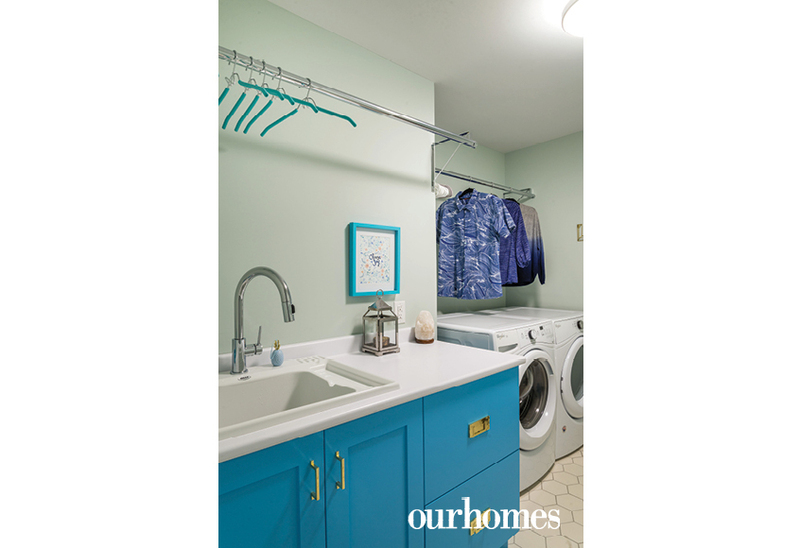 Colourful blue cabinets and brass hardware in the laundry room add a fun vibe to the home. 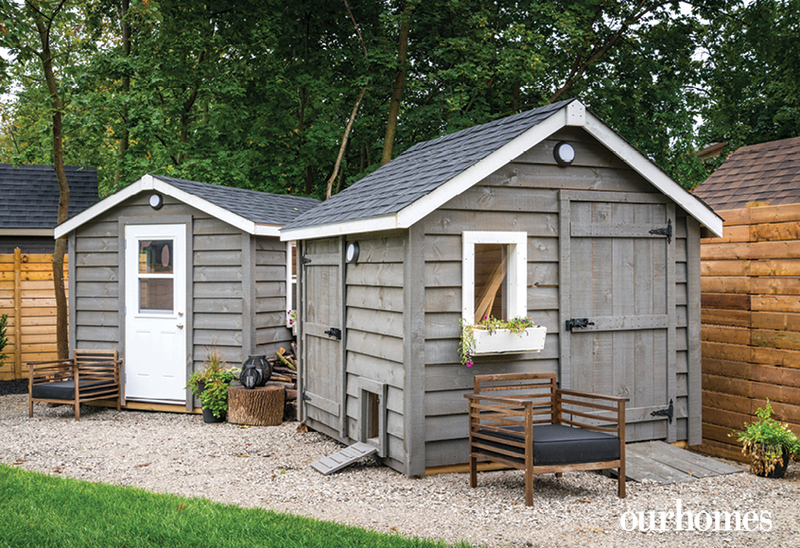 Out back, identical sheds store tools and include a workshop.